SEOUL: South Korea said on Wednesday the issue of U.S. troops stationed in the South is unrelated to any future peace treaty with North Korea and that American forces should stay even if such an agreement is signed. 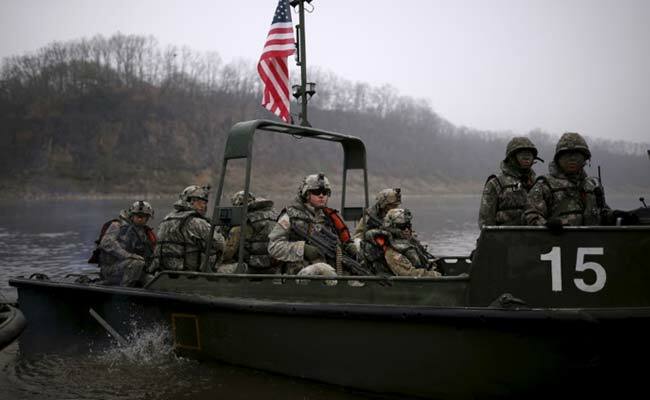 However, Seoul wants the troops to stay because U.S. forces in South Korea play the role of a mediator in military confrontations between neighbouring superpowers like China and Japan, another presidential official told reporters on condition of anonymity earlier on Wednesday. The United States currently has around 28,500 troops stationed in South Korea, which North Korea has long demanded be removed as one of the conditions for giving up its nuclear and missile programmes. Moon Jae-in and Kim have said they want to put an end to the Korean conflict, promising there will be "no more war" on the Korean peninsula.